A seasoned professional needs distinguishing identity. 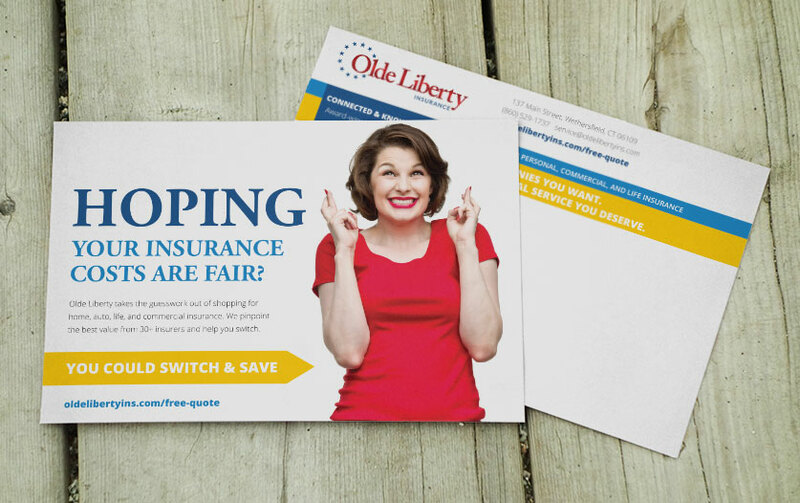 This enthusiastic, community-minded insurance agent wanted a professional look for a mid-30s+ audience. 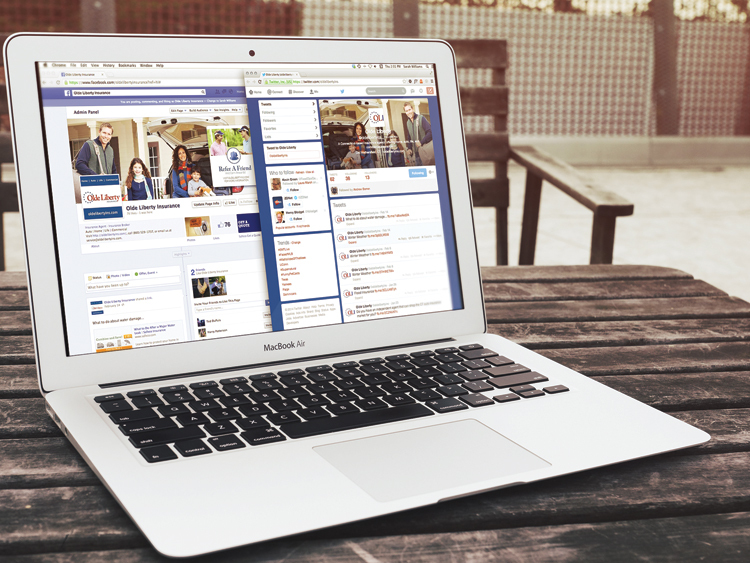 Even though the company was a bootstrapped startup, the owner had many years of experience. 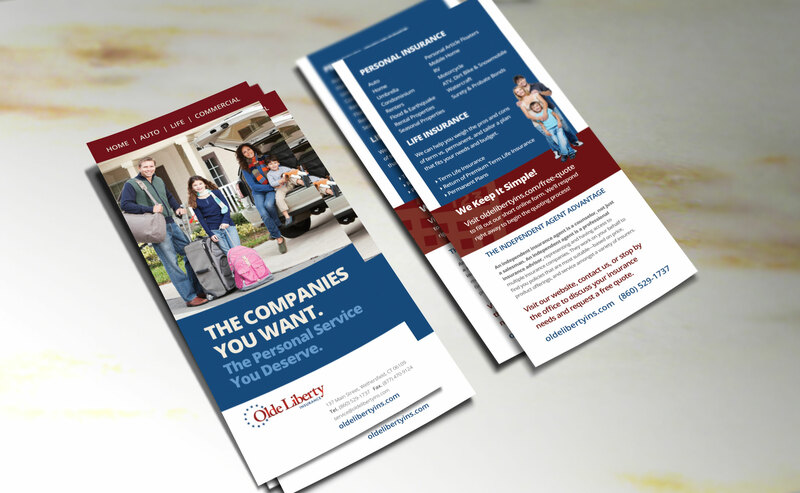 Having just left a major insurance company to head out on his own—but legally unable to access his extensive book of clients for at least 2 years—he needed a dynamic, professional brand that he could scale quickly and gain access to new customers who hadn’t known him as the seasoned insurance veteran he was. 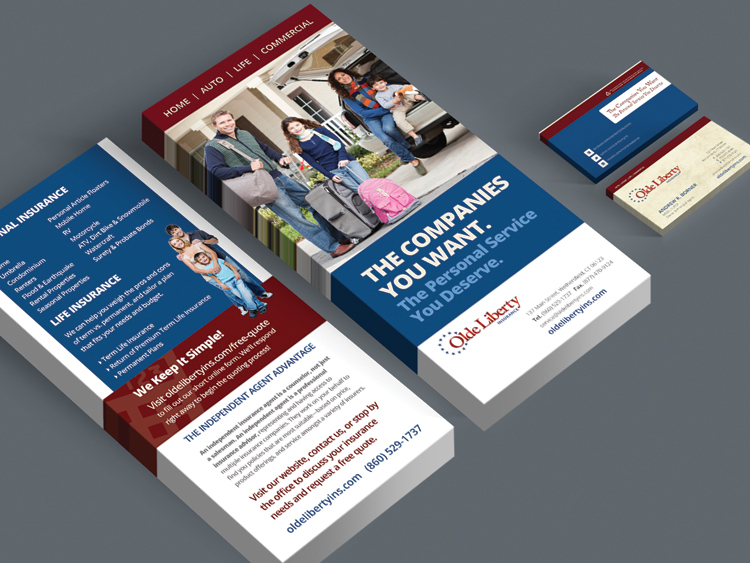 Connecticut is flooded with insurance businesses, so when this client approached us as a startup with a very traditional-sounding name, during our brand consulting phase, we encouraged the owner to build his brand around being active in the community while having a timeless, informative website with a blog and biography that showed his volunteer work and local groups he helps. We began with designing a new logo for the agency, centered around the name he’d selected, his holistic style of service, and a patriotic color scheme. 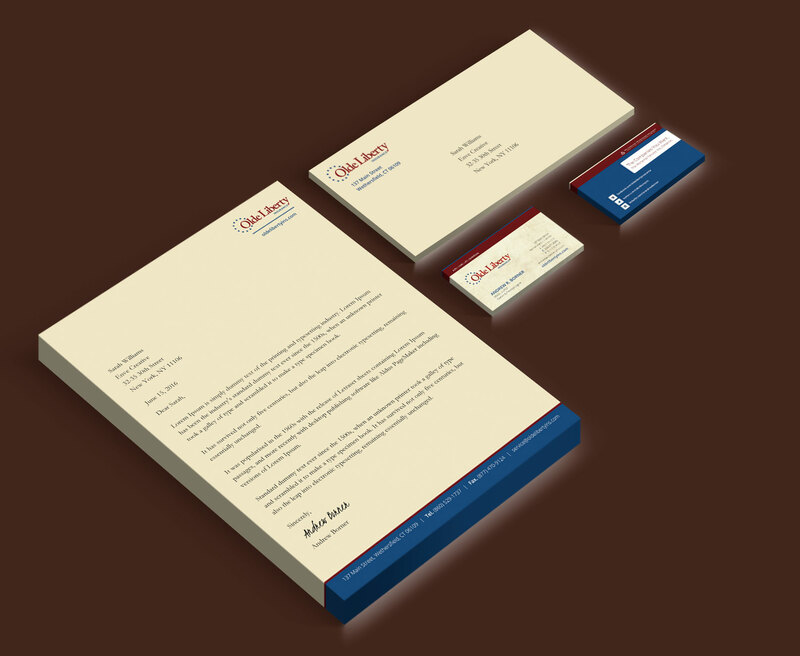 We then designed stationery, rack cards, and online graphics for their social media accounts, as well as set them up on Facebook and Twitter so that outreach could begin immediately while we built out their website. 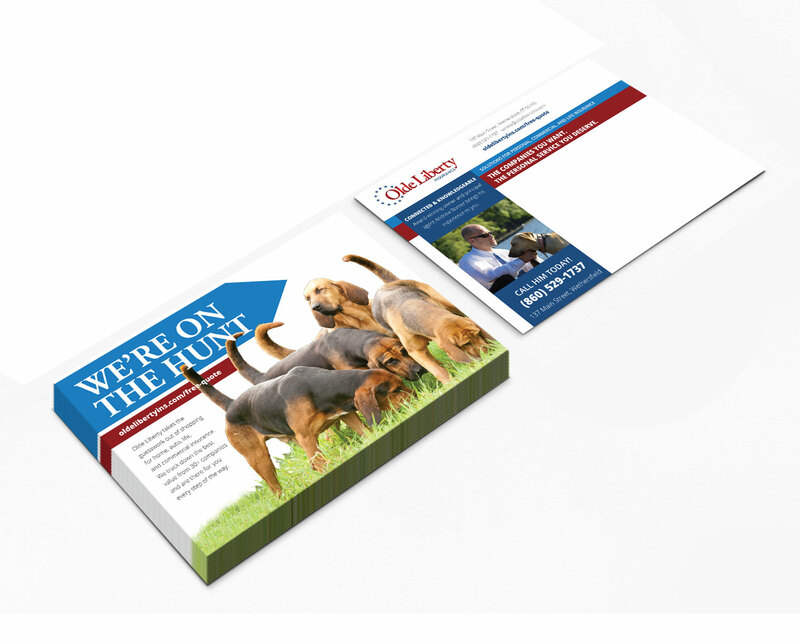 We’ve coordinated their annual promotional postcard campaigns, including design, printing, and mailing. The campaigns have generated a 65% return rate on new policies sold and thousands of dollars in new business. 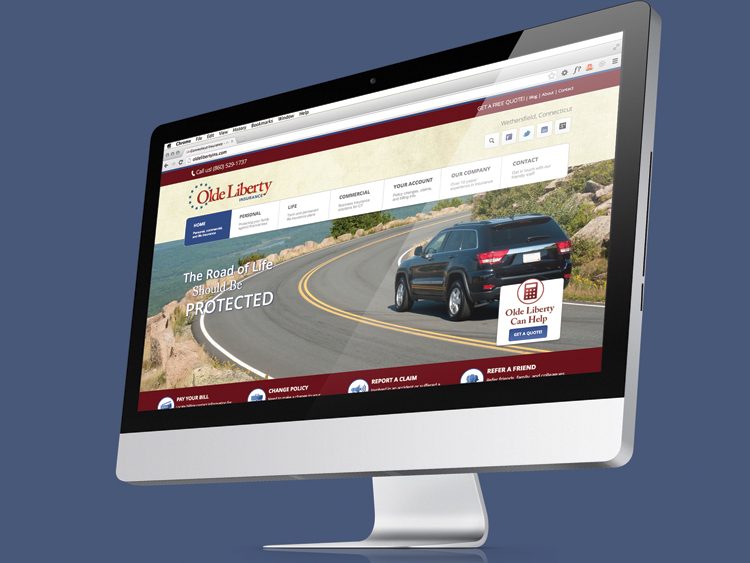 Smaller insurance agencies typically have fairly poor websites and dated branding. 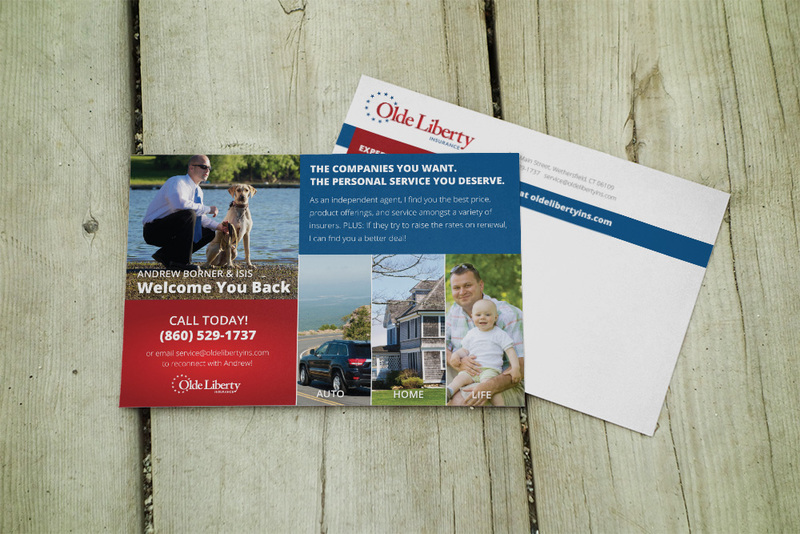 We wanted to go above and beyond to separate Olde Liberty even further from other CT insurance agencies. The sophisticated, responsive WordPress website has been highly applauded by insurance marketing professionals for its style, structure, and usability. It features strong calls to action that keep users moving around the site, as well as free quote request forms, a referral program, and a blog.